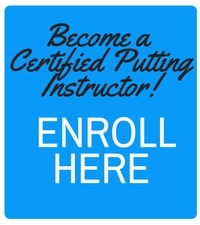 ‘The Lady Golf Coach’, Kendleshire Golf Club’s Emma Brown recently became a Certified Putting Instructor (CPI) and wants to help more golfers putt better with her new qualification. “The CPI Course has been a great experience. 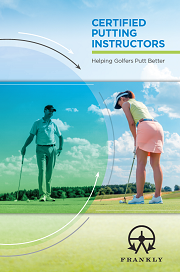 In the PGA training we learned a lot of long game but I was looking for more short game and putting. She also enjoyed the insights provided in the Putter Technology section. Brown started playing at age 13, through a taster session at her school and went on to represent England at U-18 level. Getting her handicap down to plus 2, she turned pro to play in South Africa on the Nedbank Tour, which was a great experience but she realized after a couple of years that she preferred to help other people with their game and that is when she decided to go through her PGA training and become a full time coach. Coach to the Wiltshire Girls County Team and also the Gloucestershire Development CAP coaching for girls and boys, Brown draws on her own extensive playing experience and recollections of learning the game to pass on her knowledge.